Yesterday, our adenosine dilutions were much lower than the class' average, so we redid the adenosine samples. 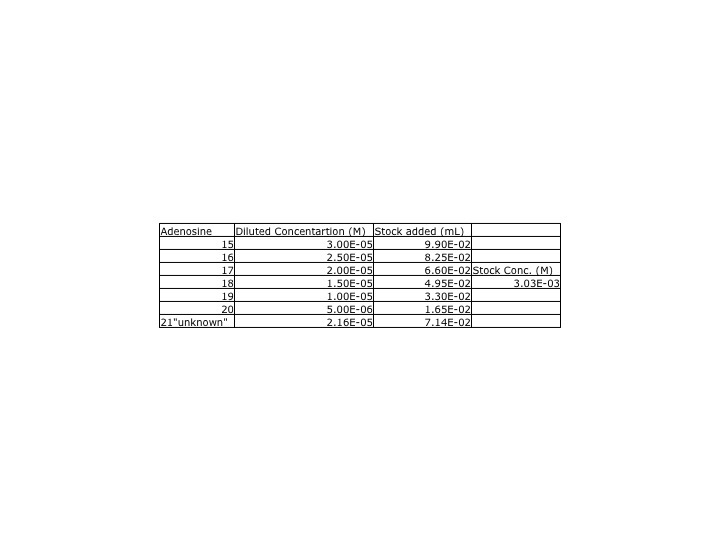 A new stock solutions was made using yesterday's protocol and the stock solutions was made from .0809g of adenosine. 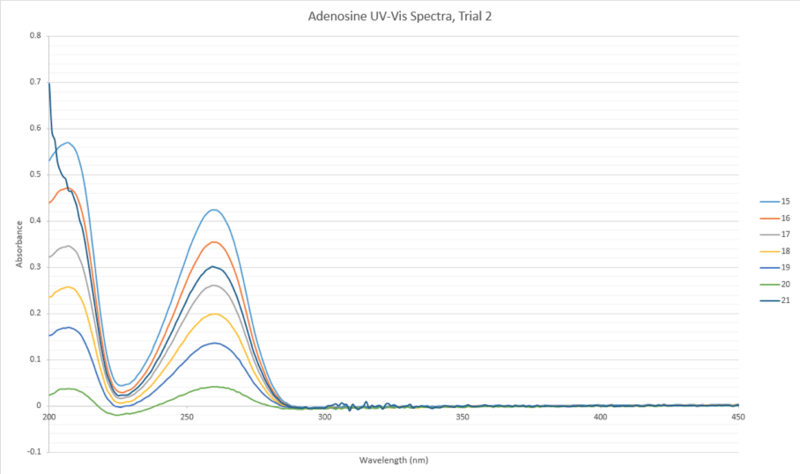 A UV-Vis spectra of the new adenosine samples and the inosine samples were collected. 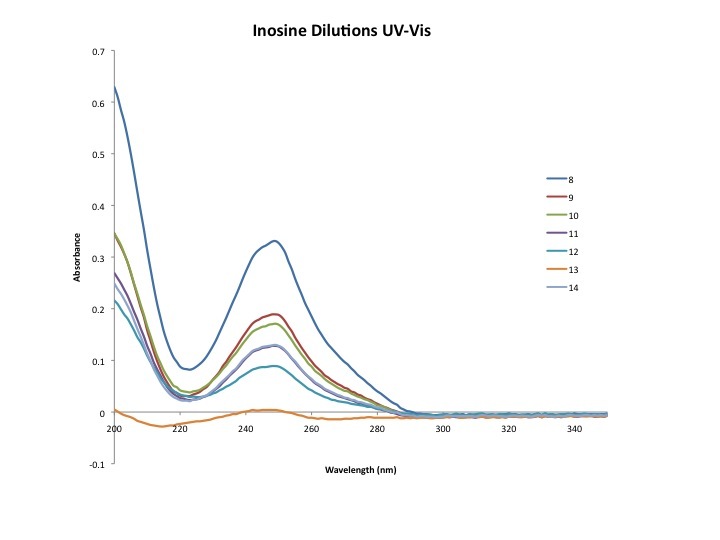 The parameters for the UV-Vis were measured between 450 and 200nm. 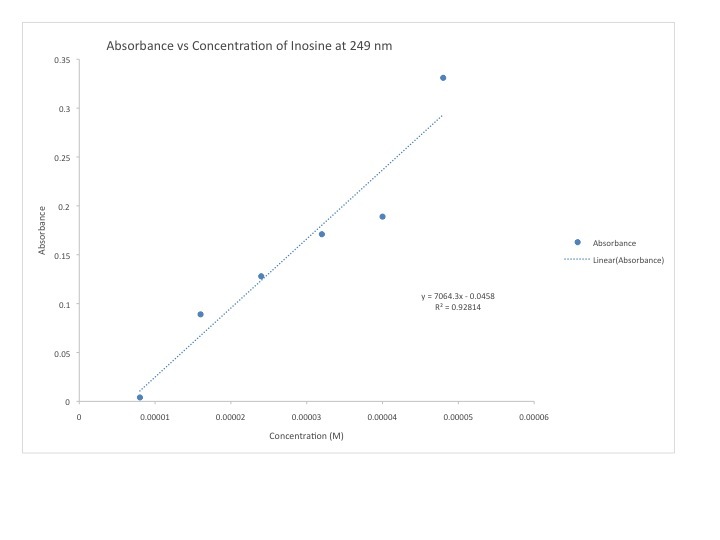 The peak for the insonie spectra was at 249nm while the adenosine was 259nm. This wavelength was used when calculating the calibration curve. The data that our group collected from 9/3/2013 was lower. 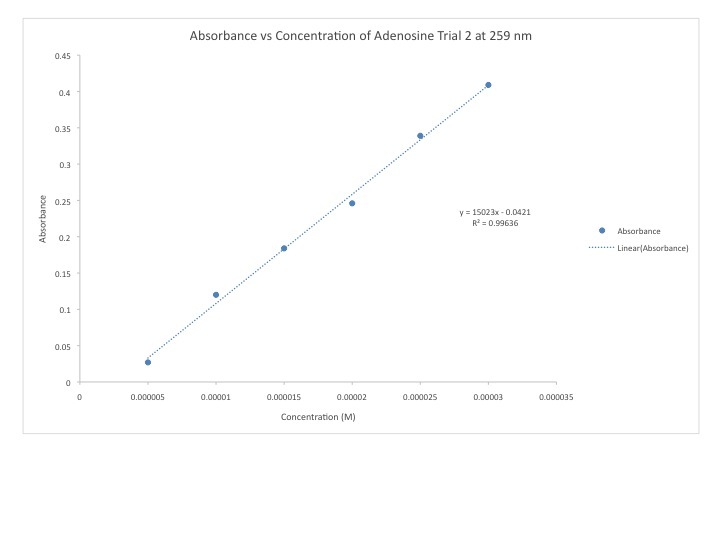 We remade Adenosine concentrations from a new stock solution, but did not do that for inosine, thus our group (5) data is not recorded. This page was last edited on 26 September 2017, at 23:17.